Practical and good sized desk. 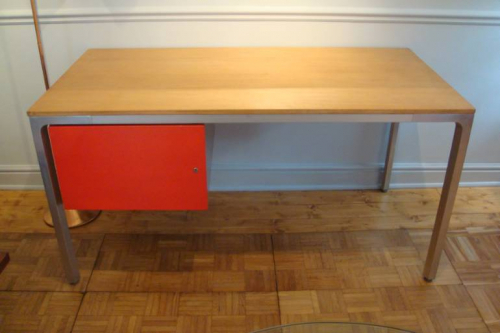 Shaped aluminium legs contrast with the quality wood top and red drawer. The drawer has a very useful set of adjustable metal dividers and is the full depth of the desk - so there is plenty of storage.